2016 has been so far a very good year for stealth titles, with games such as Hitman and Human Ex: Mankind Divided hitting PC and consoles to moderate success. However, most, if not all, of the stealth games released this year sport a realistic or futuristic setting, leaving those longing for a game set in ancient times no choice but to replay some classics of the past, such as the Tenchu games. Thankfully, the drought is over and Lince Works came to the rescue with Aragami, a stealth game that manages to set itself apart from other 2016 similar titles not only for its Feudal Japan inspired setting, but also for a few interesting mechanics that spice up the experience considerably. In Aragami, players take on the role of a vengeful spirit with peculiar powers who’s been summed by Yamiko, a young girl imprisoned in the city fortress of Kyuryu. During the course of the adventure, the spirit, who’s named Aragami by Yamiko herself, will bond deeply with the young woman, eventually coming to learn the secret behind the Aragami and the never ending battle between the champions of Light and Shadow. The story of Aragami is told through some short and to the point cutscenes, which feature a fictional language vaguely reminiscent of Japanese, as well as during actual gameplay, with guards talking about current events, in the vein of other stealth games. The story is entertaining enough, with both Aragami and Yamiko being quite likeable, and the evolution of their relationship is definitely believable, leading naturally to the big reveals in the final parts of the game. The story itself is not very original, but it’s definitely entertaining, especially for those who love Japanese legends and folklore. Unlike what it may seem like at first glance, Aragami plays nothing like the classic Tenchu games, as the game developed by Lince Works is completely focused on stealth with no close combat options (outside of an unreliable and slow instant kill attack), which forces players to take a stealthy approach at all times. As in similar games, players will have to traverse a variety of locations inspired by Japanese history and folklore, avoiding guards governed by a more than competent AI by staying in the shadows and making very little noise. Saying “staying in the shadows” isn’t completely correct for the game, as Aragami actually has the power to manipulate them to his advantage. True to the Light versus Shadow dichotomy that governs the game’s universe, Light always works against Aragami, champion of the Shadow. Not only it makes him easy to spot, but it also drains energy which can be used to interact with shadows. At the beginning of the game, players can only move from any place toward nearby shadows, eventually becoming able to create shadows temporarily, use them to unleash long range attacks with shadow projectiles and more by learning additional abilities, which are divided into two different types, the offensive oriented Demon Powers, and the stealth oriented Ghost Powers. These peculiar mechanics work incredibly well, allowing players to attract attention from guards and rapidly escape, move toward otherwise difficult to reach areas and much more. With the shadow manipulation mechanics and the two different skill trees, Aragami gives players quite a bit of freedom on how to approach any situation, making it extremely enjoyable: there is no right play style, as any approach is valid to reach the end of each chapter. The variety of scenarios makes it all even better. The first few chapters are quite straightforward, asking players to simply reach certain parts of the map, while later ones require players to disable barriers and deal with different guard types such as archers and more. One hit is always enough to kill Aragami, so players will have to quickly adapt to any situation if they want to make it out alive, and get a good mark at the end of each mission. Earning a better score, or finding all optional scrolls, which give players one skill point each as well as information regarding the story, aren’t the only reasons to replay chapters, as players can obtain three different by completing a chapter while killing all enemies, not killing any and avoid detection. Even though the game is rather on the short side, requiring around 10 hours to complete, players could be playing it for much longer if they’re aiming to master it. Adding even more value to Aragami is the co-op online multiplayer mode, which opens up even more interesting possibilities. Even Aragami’s presentation is quite remarkable, albeit far from AAA quality standards. The game employs a cel-shaded style which is highly reminiscent of previous console generations, giving the game a very unique feel. Lighting is also very well done, with some particle effects which even improve the game’s unique atmosphere. Interestingly enough, the minimal UI helps immersion quite a bit, with some important elements, such as the current energy value, getting seamlessly integrated into the main character’s design, which is a very nice touch. Sadly, the PlayStation 4 version has some performance issues, with some very noticeable slowdowns even when there’s very little going on, so the game does feel a tad unpolished at times. As Aragami isn’t a very fast paced game, this isn’t a major issue, but it’s definitely annoying. If the PC version doesn’t suffer from similar issues, that may be the way to go to enjoy the game at its best. 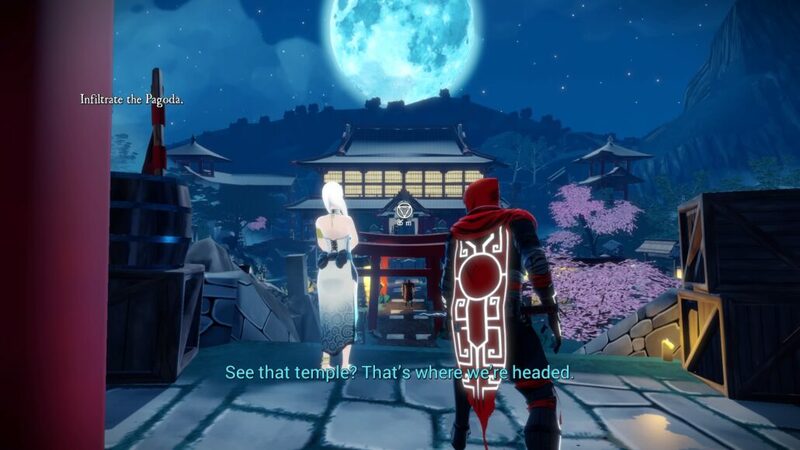 At the end of the day, Aragami is a very interesting stealth game coming with an engaging story, charming characters, beautiful atmosphere and unique gameplay mechanics. With its focus on pure stealth, decent total length and plenty of replay value, the game developed by Lince Works has everything that’s needed to compete with AAA releases. Sadly, the PlayStation 4 version performance issues prevent the game from being a masterpiece, but if that doesn’t bother you too much, Aragami will be more than worth your time and money. PlayStation 4 version tested (review code provided by the publisher). Also available on PC (Steam). 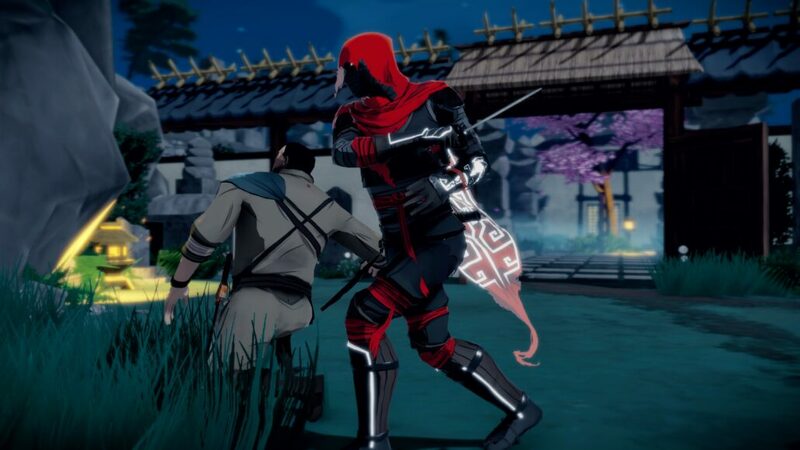 Lince Works managed to create an impressive stealth game with Aragami, offering a quality level that can make it compete with better known releases and established franchises. With an engaging story, charming setting and some unique stealth gameplay mechanics, as well as varied scenarios and huge replay value, Aragami is a game that fans of stealth games definitely don't want to miss, especially at such a low price.